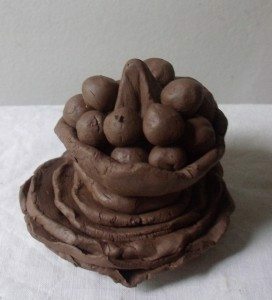 … a resource centre and a place to recover & cultivate lost practices. specifically under the umbrella of Womb Wisdom. and vegan meals by Chef Chris of P.E.C. 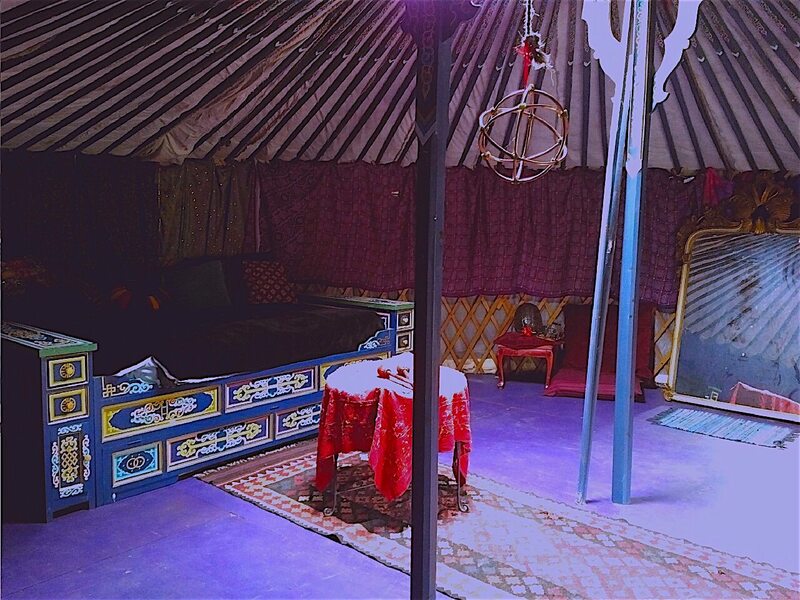 we offer tenting “yurting” or indoor communal sleeping. BYO sleeping bag and pillow. 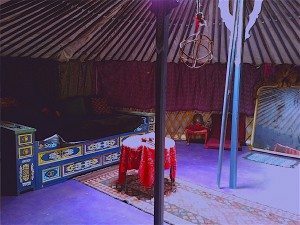 Our moon Lodge celebrates its 10th year as a safe zone sanctuary for women to gather and listen in the silent darkness to the messages from the Earth womb and from the Cosmic womb. Here is a place that is regularly purified so that we can safely source from the new to full moon . Please do your own release work from the full to new moon before attending. This space is a remembrance of the Dark as the Womb. All life is born from the Dark ! As women with wombs we receive 10 x more soul energies than men. We are here to ensoul the planet! Women are the creators of sacred & ensouled life on earth in all ways, in all forms. You may bring a sacred object and a small donation. We co- create each evening. – drumming, toning, offering wisdom, or remaining silent. Maureen will offer the Inca womb to heart meditation . This meditation is as powerful as you make it. It can open us to create such beauty that we can truly change the world. This is our lost legacy. This work is only effective after much healing has been done. 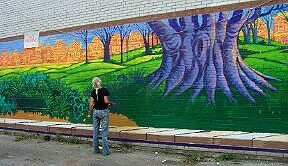 Wyldwood Sojourn is filled with the artist’s murals, sculptures & paintings to create a peaceful, uplifting environment and support your awakening. All contents are hand crafted of wood, glass, clay,wool or cotton. (no off gassing synthetic materials). The studio/home is a passive solar dwelling, located on two wooded acres with a seasonal waterfall. 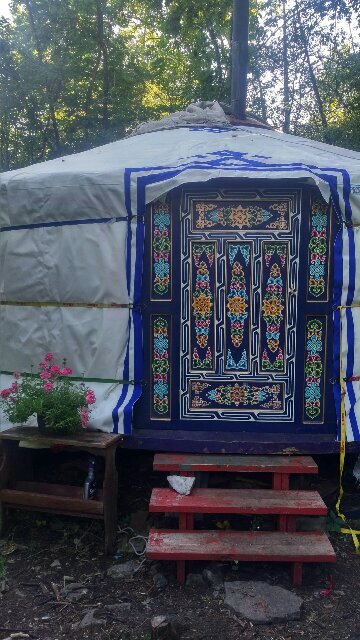 Two authentic Mongolian Yurts nestle in the woods. One is used soley as a Dark lodge sanctuary and the other for sleeping and workshop space. W.S. offers, 2 studios, a kitchen, 2 bathrooms and an outdoor dining tent. W.S. is proud of its new solar run art studio and its tankless hot water system. A solo steam sauna is also a new addition. Aputi is our sweet black feline. 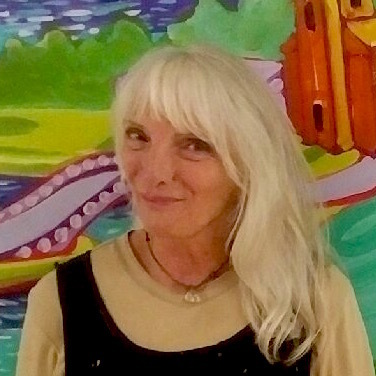 May 24,25,26 – Helen Patton & Maureen Walton- guest speaker Cassandra. 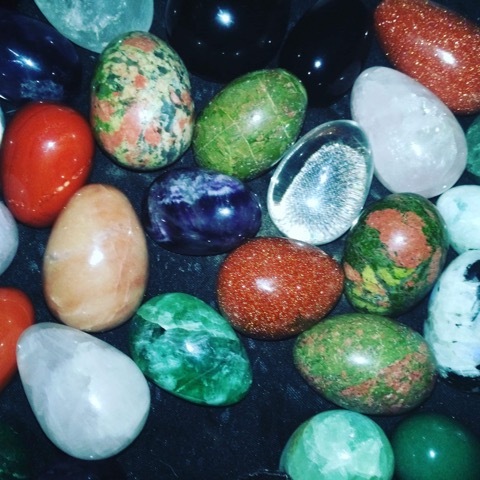 Yoni Egg practices including a gift of a crystal egg,Intro to Tantric breathe work & movement. 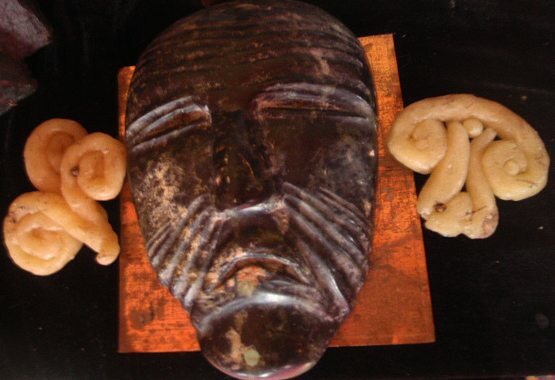 Inca Blood Masteries intro in the Moon Lodge, nature altars, water ceremony. 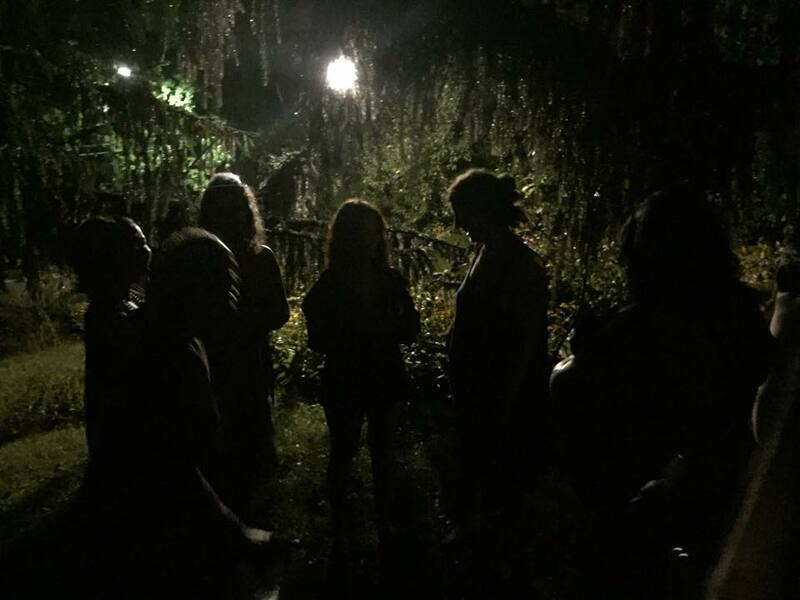 All night Star Vigil, ceremony, Goddess studies, art in nature, hidden womb wisdom legends. etc. 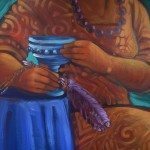 womb healing potions, moon lodge meditation & Goddess stories, herb walks, water ceremony, dining with herbs. 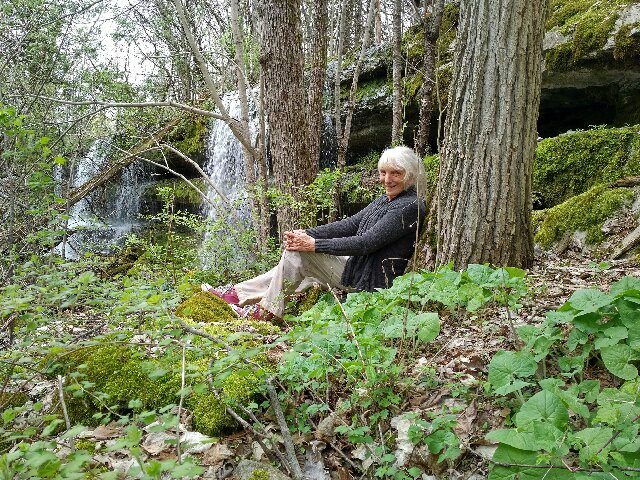 Welcome Helen Patton to Wyldwood Sojourn. 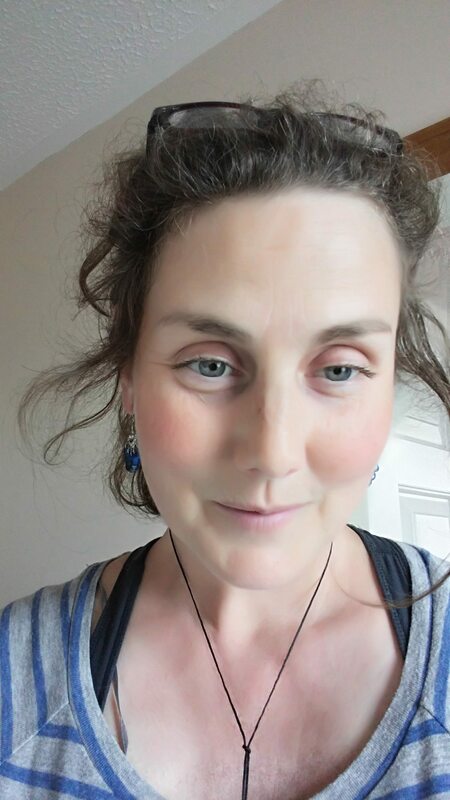 Helen is a Tantra Yoga practitioner and healer and has been offering Tantric retreats in her home town of Ingersole for many years. these Crystal egg workshops 2 years ago. 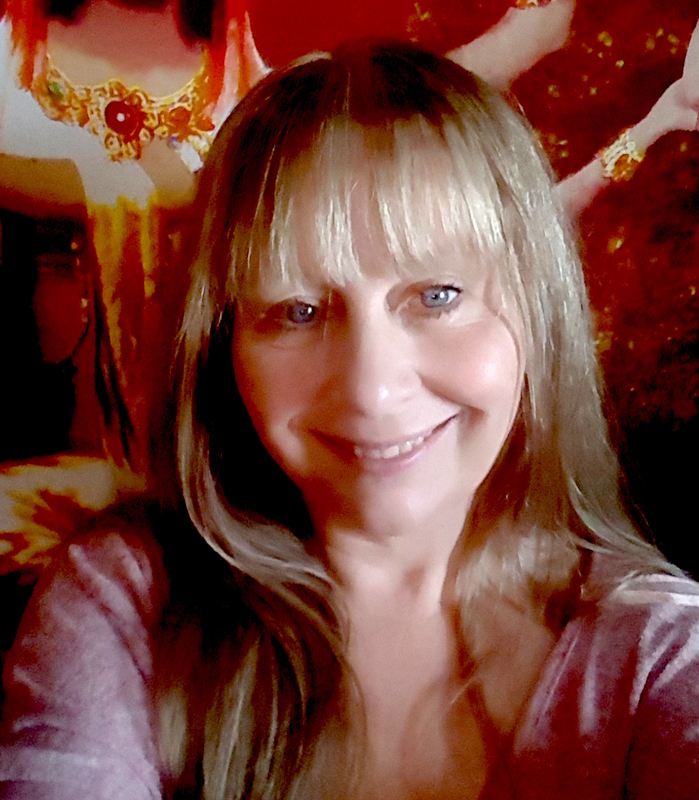 Helen is a Certified Yoga teacher and a Reiki master. 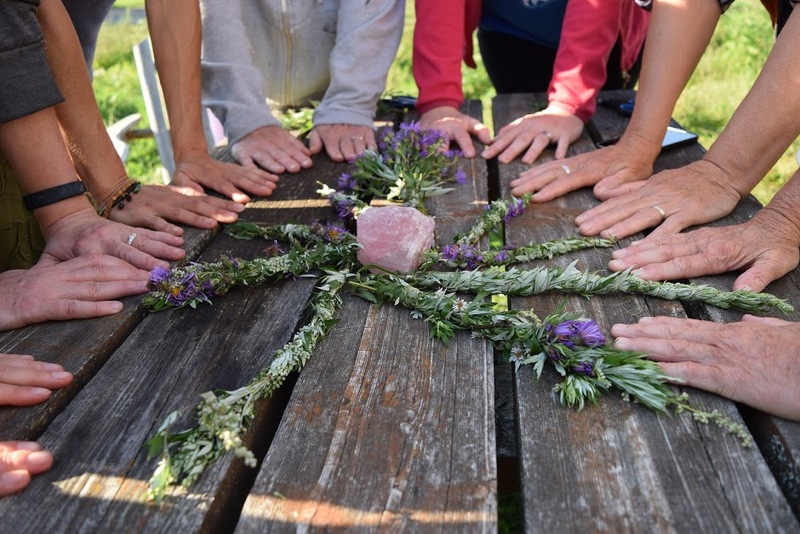 Are you ready for intensive learning in a beautiful natural setting? Are you ready to make space to receive? included in the cost of this retreat? The ancient practices of the Yoni Egg offer an additional level of wisdom to our Blood Mastery Practices here at W.S. Some healing needs to take place before we are able to awaken the Sacred energies of the Inca Luminus structure within. 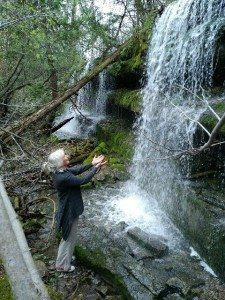 This is why Maureen invites healers like Helen to collaborate with her. Bring your Eggs to the Moon Lodge! together with visceral massage, exercises, movement & breathe work. All this allows us to become more aware of the miraculous power of our wombs! – on a much deeper level than we currently know! Helens professional partner is Kassandra Turcot. 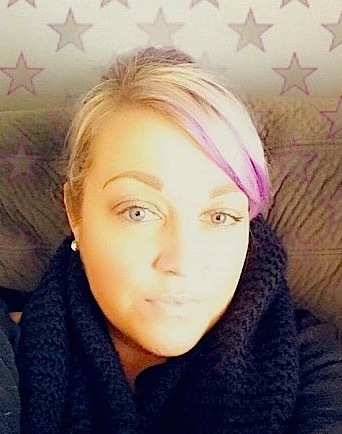 She graduated from the Canadian College of Massage & Hydrotherapy and is a practicing Massage therapist. 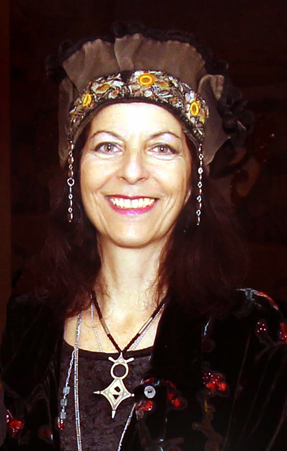 Her work balances the spiritual aspects as revealed by Helen.We welcome her to join us. 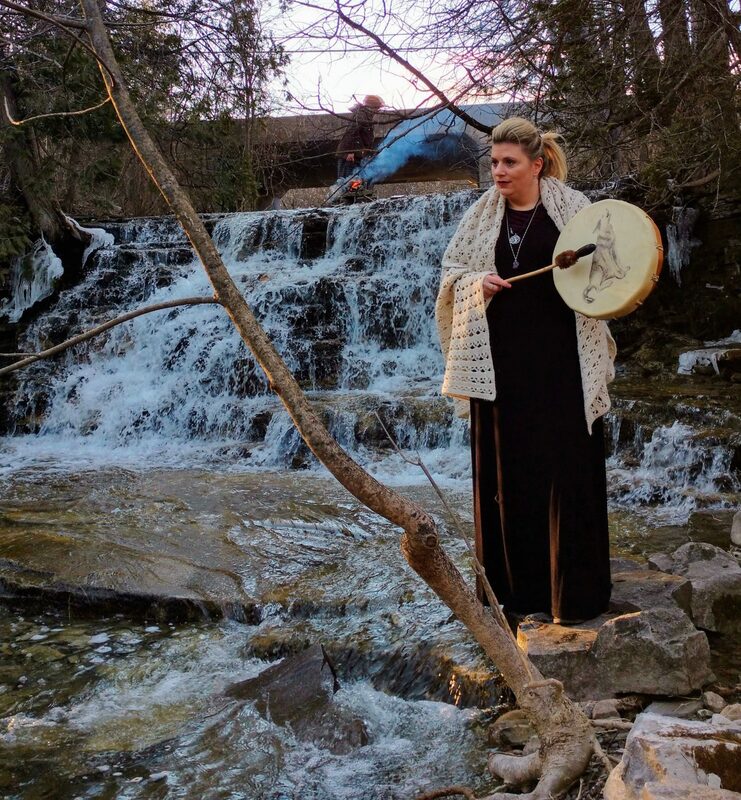 as well as enjoy nature walks, yoga, meditations and more..
We will lead you in a river ceremony and light a bonfire to set the scene for an evening drumming circle. There will be free time for journaling and reflecting. join us in another retreat to explore the Dark Sacred Night! and an apprentice of Oriah Mountain Dreamer. 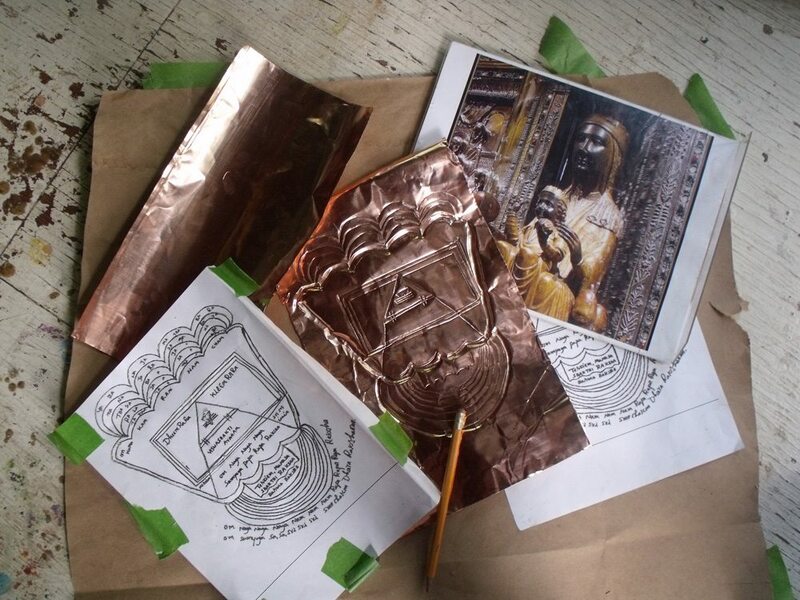 to aid in the reclaiming of Feminine Spirituality . for many years in Canada & U.S.A.
We are excited to create a Night Vigil for you! as one aspect of our activities. and rise at 3am to begin our adventure till dawn! Why have we been taught that the dark is evil? Why is the womb’s power ignored? and finally birth the dream we gestated through the night, into the morning light! the powerful creation energies within our sacred wombs. 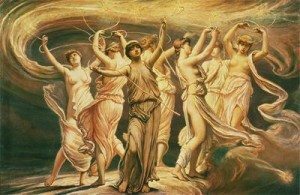 All this as we work with the coming eclipse…and with the Astroid Goddesses! a collaboration between Maureen and Tamara. 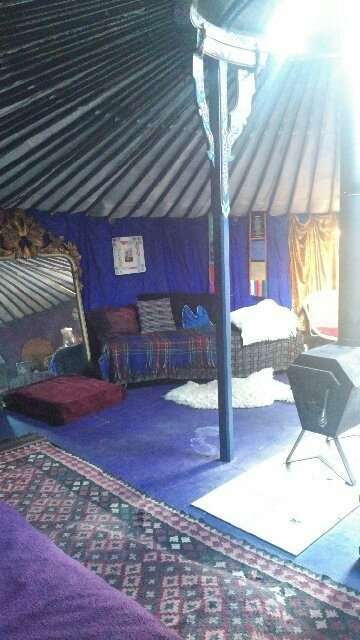 that will aid in healing and empowering the Womb, our central creation station! after we have released and cleansed with the herbs. 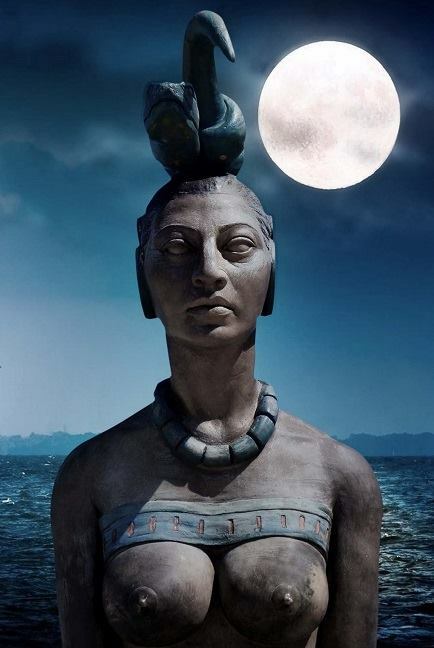 “Women’s medicine has a strong connection with the moon and intuition, while also offering support for our reproductive system. 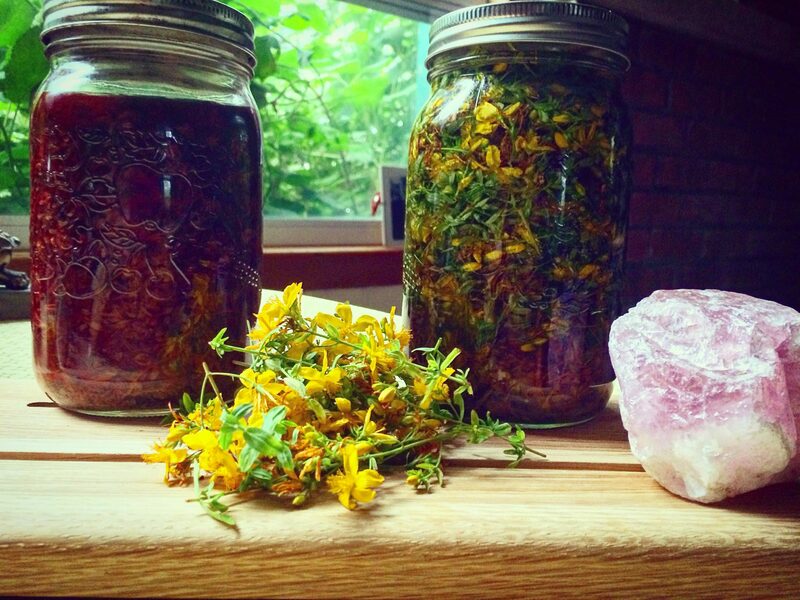 The earth, our mother, has provided us with plant medicines to help us restore balance! supportive ways for holistic support of the womb and female reproductive system. This 24 hr. 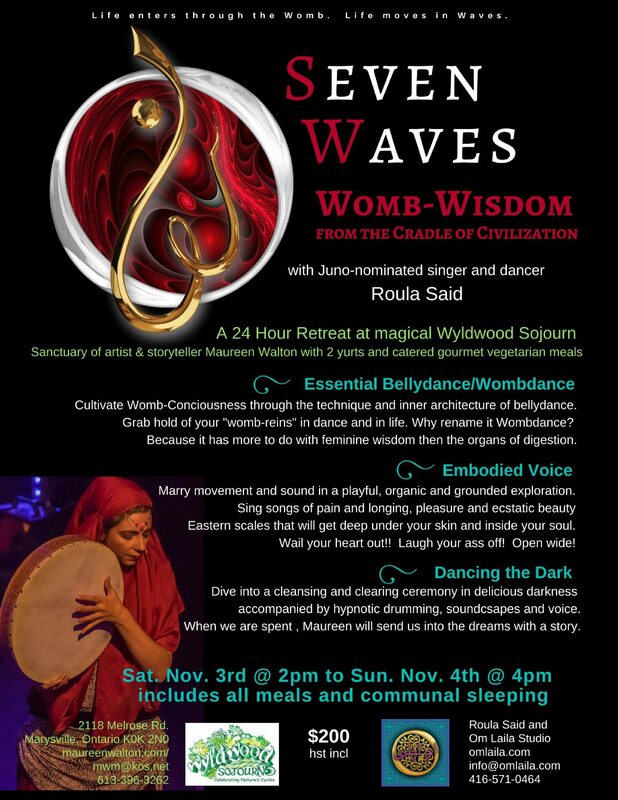 retreat will bring together two worlds of womb empowerment. 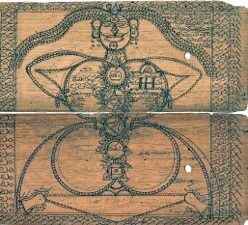 The world of womb medicine and the world of womb meditation. and shelters rare herbs as well as herbs more commonly found. We will discover plants that, combined with our intuition, will heighten our manifesting and creation abilities. 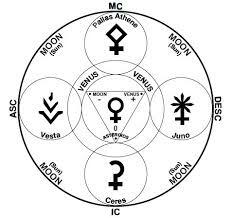 attending an evening moon lodge ceremony and learning Goddess lore! 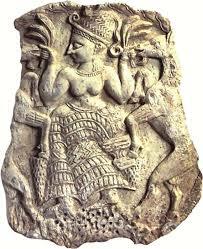 will share her knowledge of Goddesses associated with the plant medicine world. 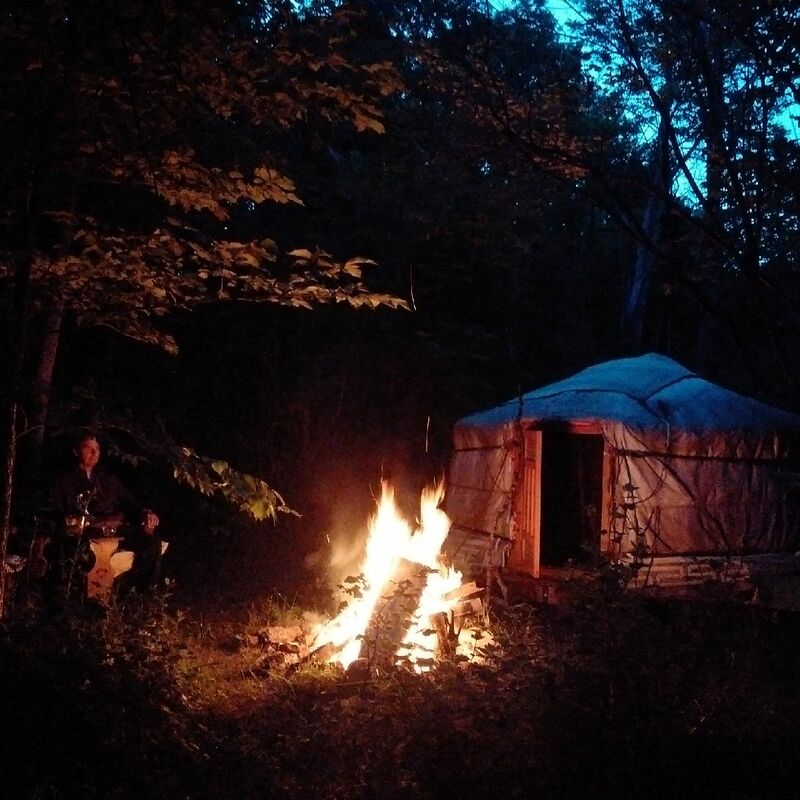 We will enjoy mid summer with a night time bonfire circle, you may bring a drum or rattle. 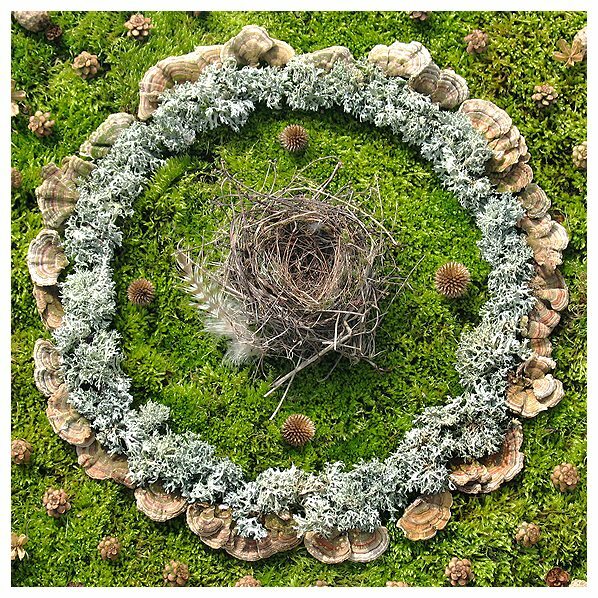 Our art project can be in creating a mandala in the woods with found objects, to give back to the earth and offer gratitude. Something the women have been waiting for! A new forest shower has been installed sourced from fresh rain water. Embracing the Dark Void Of Life- Thurs. Aug 30 at 7:00pm to Fri. Aug. 31, at 11am-led by Maureen Walton & Jens Nauman. Donation and potluck. Details of these 2018 retreats, below- scroll down! into a tangible pure metal of Mother Earth. You may bring it home and develop a practice around it. that allow us to dive deeply into our spacious inner world ! … a place were our most beautiful inspired creations come from. 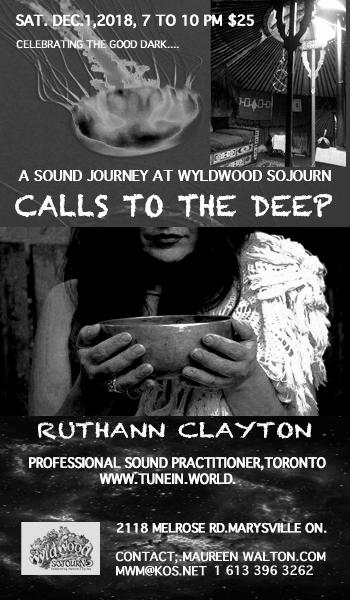 We will be supported by Ruthann’s inspiring tones and resonances. We may hear messages from the Earth and receive her Wisdom. Please contact Maureen to save your spot. Maximumm 22 guests. Marking the sacredness of Samhain, when the veils are thin. I’ve been studying Hands On Healing for most of my life. I’m a certified yoga teacher Thai practitioner and Reiki master. My passion is where I am now on my journey ! 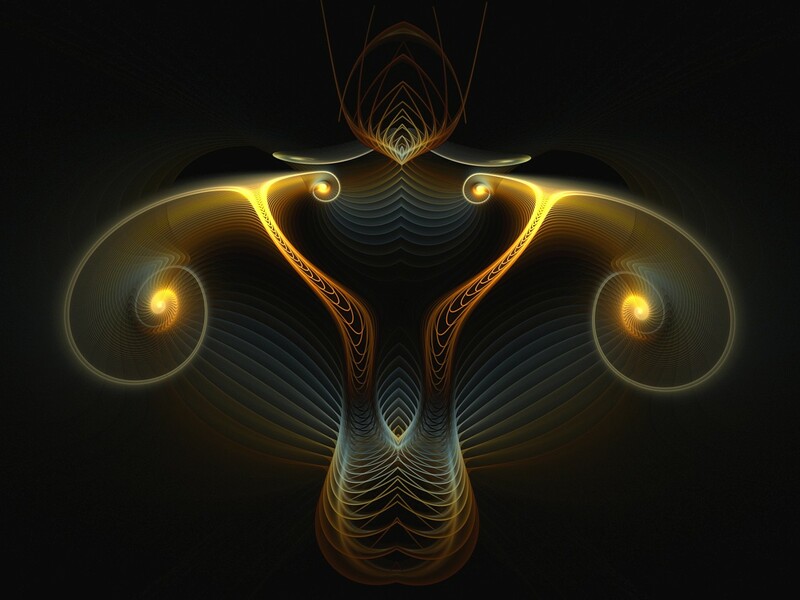 I am learning about my womb through my own visioning and my Tantric practices. I share that with other women in circles. The beauty and the power of Tantra yoga can gently guide us back to our womb back to our sacred self as creators. soulfulness, into the world . path of light and ascension. Come and discover what has been long hidden. will be art projects, lots of time for sharing in circle & we will offer you guided meditations, in the dark, to draw energies down and circulate. Maureen with the Inca Luminus structure. the womb mysteries of the Earth. Communal sleeping BYO sleeping bag. 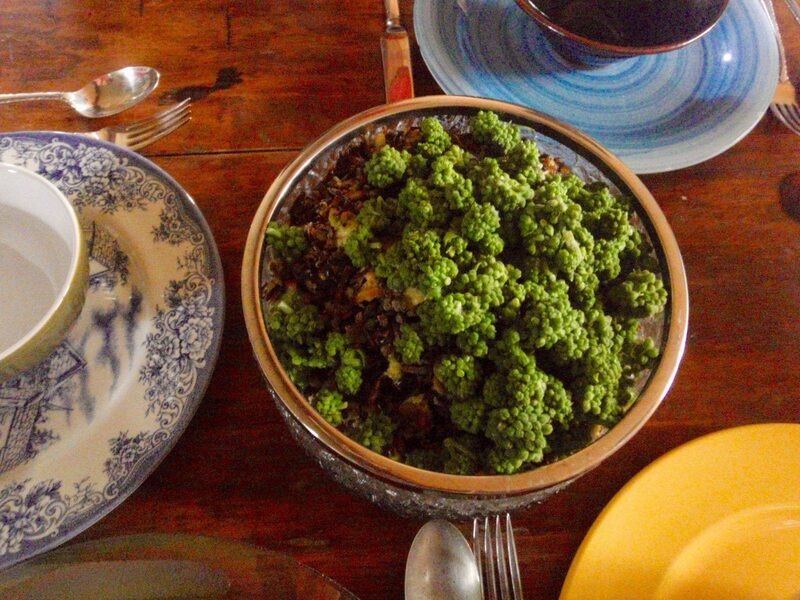 Bring 2 lovingly made dishes for pot luck. One catered vegan feast and breakfasts included. we feel this will allow you to return more often,to continue as a committed seeker. Marking the Sacredness of Spring! 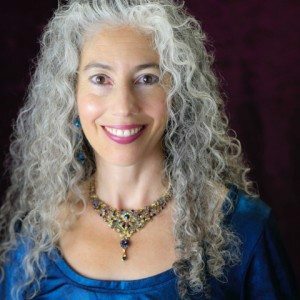 professional Tarot reader and Astrologer from Toronto. 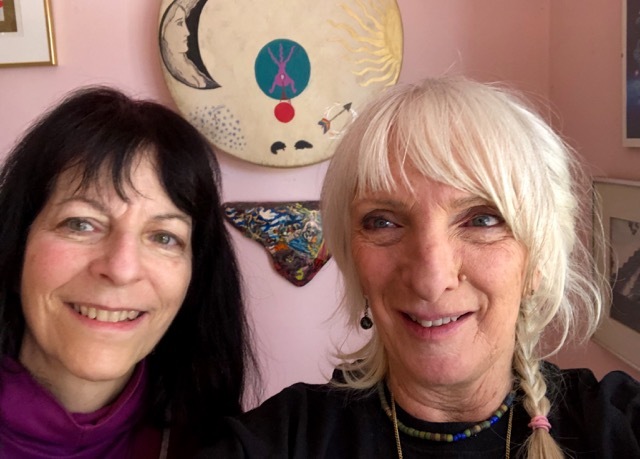 Maureen is delighted to host well known professional astrologer and Tarot reader Tara Greene here at Wyldwood Sojourn. Tara has honed these skills her whole life long! This special small piece of land provides a perfect setting, (with its spring waterfalls and limestone ridges) for Tara and Maureen to lead us in water, fire and full moon ceremony. Take a further step into your role as Priestess! Do you want to be close to nature and share in circle with a small group of women? 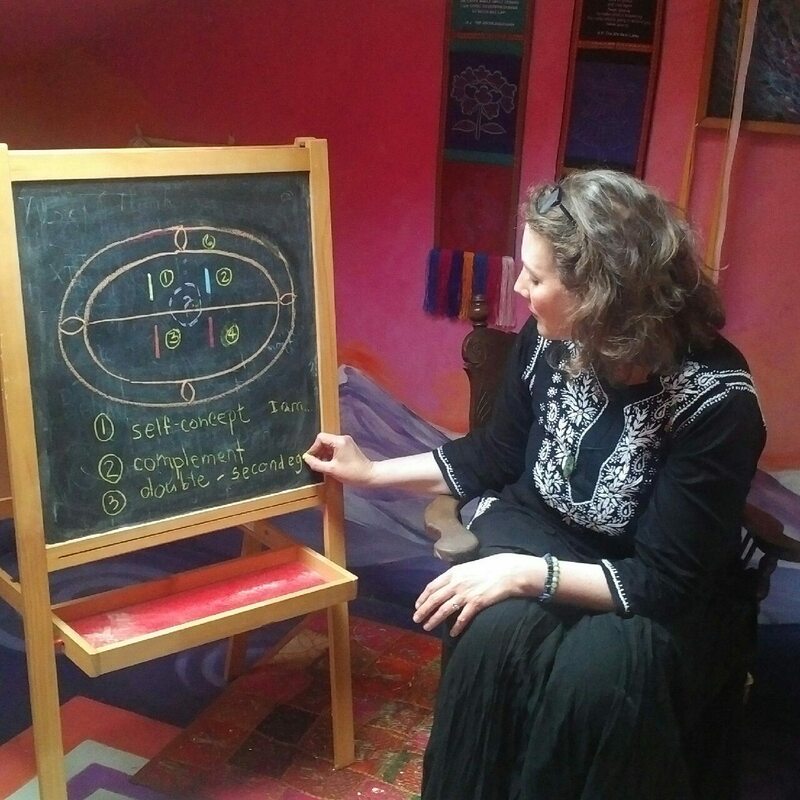 do you want to understand the planets in relation to the womb, with a knowledgeable astrologer? 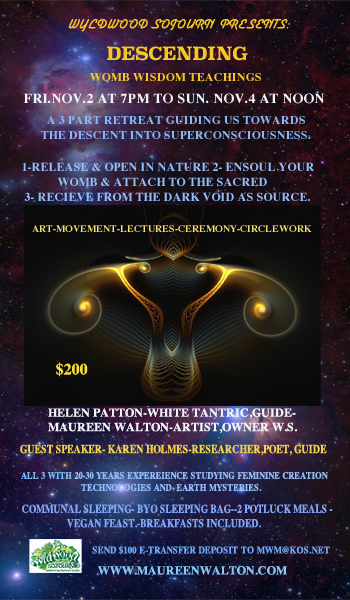 Do you want to learn newly uncovered womb meditations and create womb altars in the earth with the artist ? 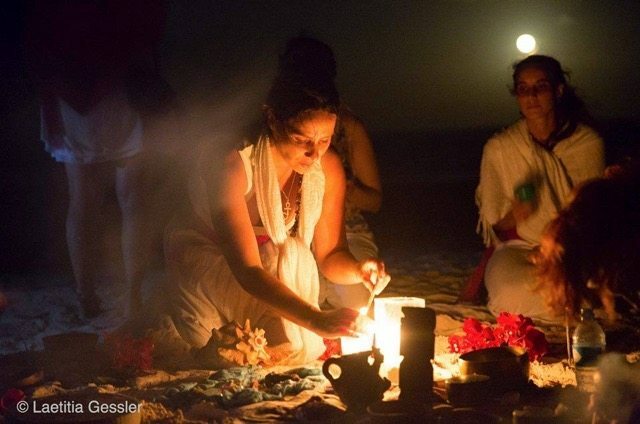 Do you want to engage in ceremony that aids you to both release and then, gather in beauty? 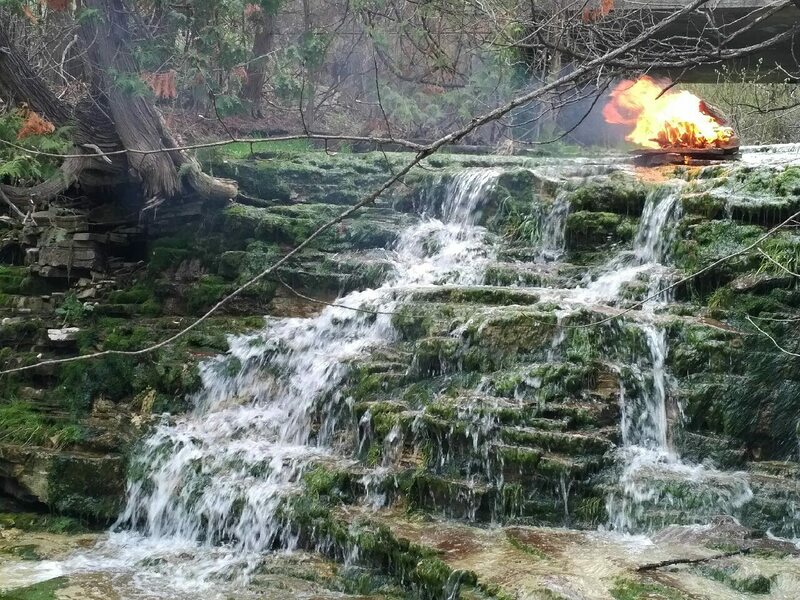 Do you want to join in a sounding and drumming circle round the fire? These are some of the activities we will engage in with you . Here is an opportunity for you to engage with the sweetness of night time and bask in the full moon’s light. 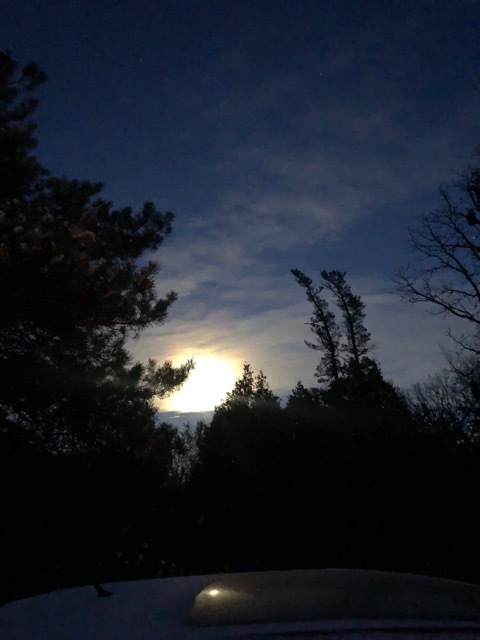 We aim to support your desire to deepen your Soul connection to nature and the sacred Feminine Source- the Divine Darkness. Tara will offer teachings honouring this season of Taurus as connected to the sacred Feminine womb Power. 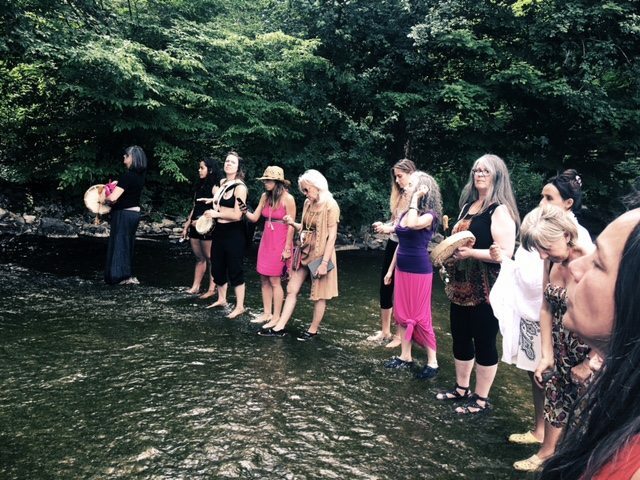 Maureen will lead us in creating earth altars,womb meditation and story. Delicious vegan meals included, by Chef Chris of P.E.C. BYO sleeping bag. Communal sleeping or tenting option. please send your $100 deposit to hold your space. A balance of $230 will be accepted on arrival. thank you . 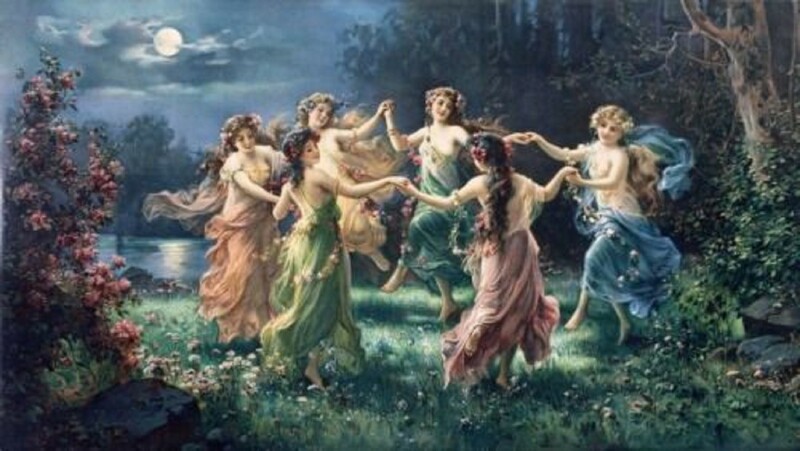 Ancient Feminine Mysteries of the Land revealed. 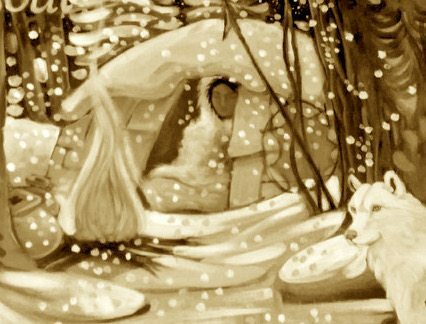 The Fairytales sometimes give us clues to the rich past of womens’ roles in society! Karen will be available for Skype chats and private e-mails . The afternoon sessions will culminate with a pilgramage to Ireland for ceremonial work with the land and the standing stones and dolmens of south west Ireland in 2019. The time has come to reveal the Earth’s Sacred Feminine Wisdom Codes. 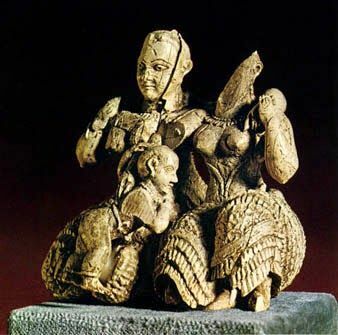 For those who have some background in ancient Feminine Earth mysteries. 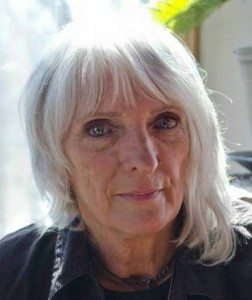 Her work, not only sources in her own dreaming and research, but comes from her influence by such greats as R.Steiner and others. Truths that formed at the beginning of time. This work requires patience and a willingness to listen to answers coming in our dreams and waking life. After attending the introduction you will know if you feel called to continue in this study. It is an exciting undertaking requiring commitment. 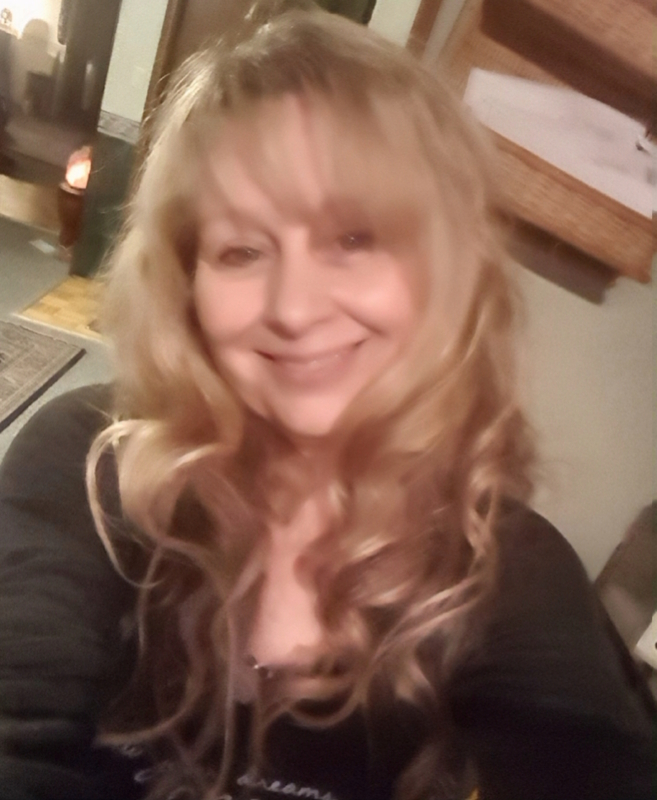 Contact Maureen for dates of inroductory one day sessions where you will begin to hone your own direction within the world of the Hybernian Mysteries. You may bring your dreams and feelings gleaned over the month for follow up gatherings, where you may share your own insights. In this way we will move as a group towards awareness, working as equals. Karen will facilitate and direct. bring your own BB Lunch. sessions will be aprox. 5 hours. Fri.June 22nd at 10:30am to June 24th at 5:00pm. 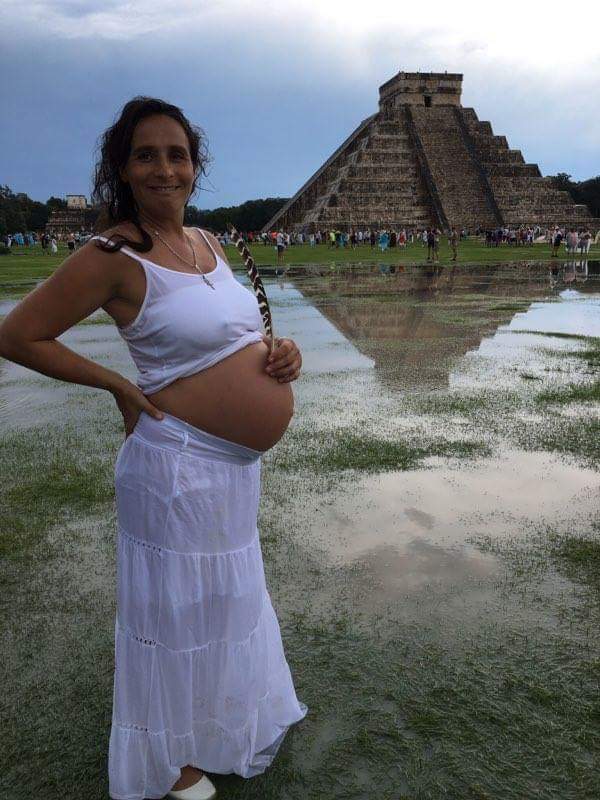 Emmanuelle invites us all to share the journey into our own inner womb space as well as the Earth Womb and the Womb of our Great Mother, the Vibrant Cosmic Void, the ground of all Creation. This retreat is open for all women. 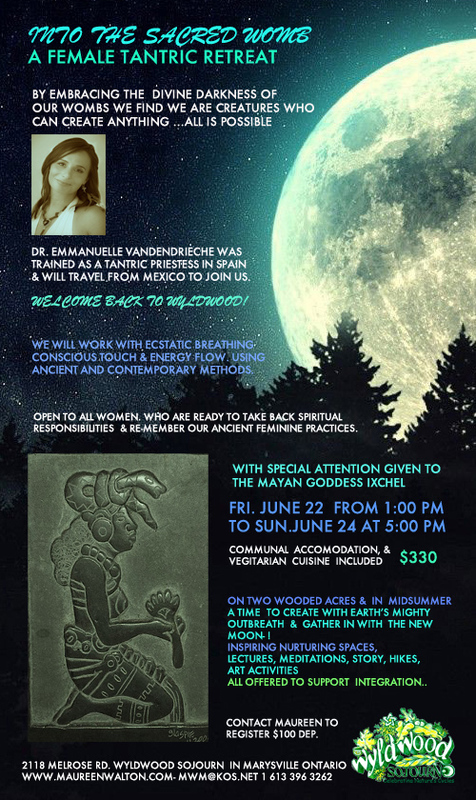 We will Focus first on the process of healing our wombs, with guidance from our trained priestess Emmanuelle. Only then can we begin to once more receive directly from the Divine Mother. In this way we can begin to reclaim our sacred nature. We will work with ecstatic breathe, energy flow and conscious touch, using a combination of ancient and contemporary modalities. We are creatures who can create anything in our wombs. Thus it is essential to be deeply connected to the Divine Mother and so create from the greatest most beautiful source. 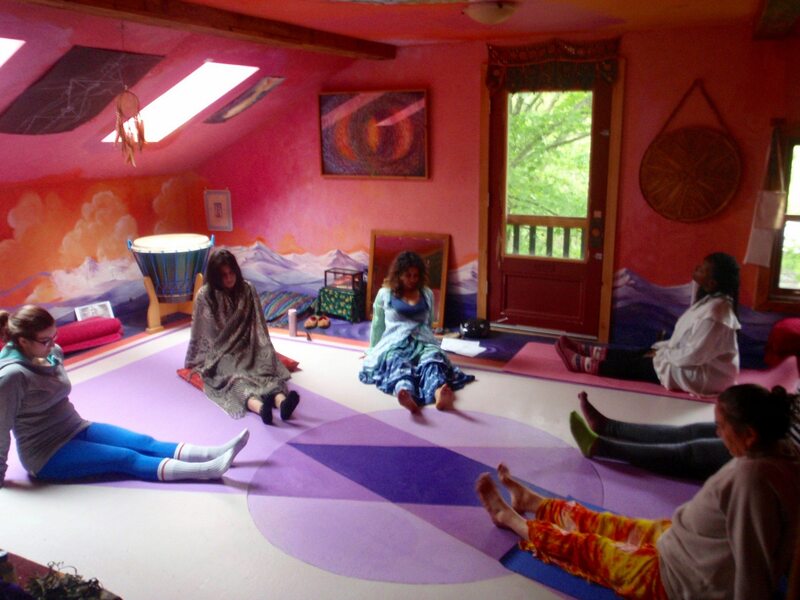 This retreat includes moon lodge meditations, movement, lectures, hikes, story, exercises, circle sharing, art making. Emmanuelle is a holistic veterinarian working with acupuncture,chiropractic and craniosacral therapy. 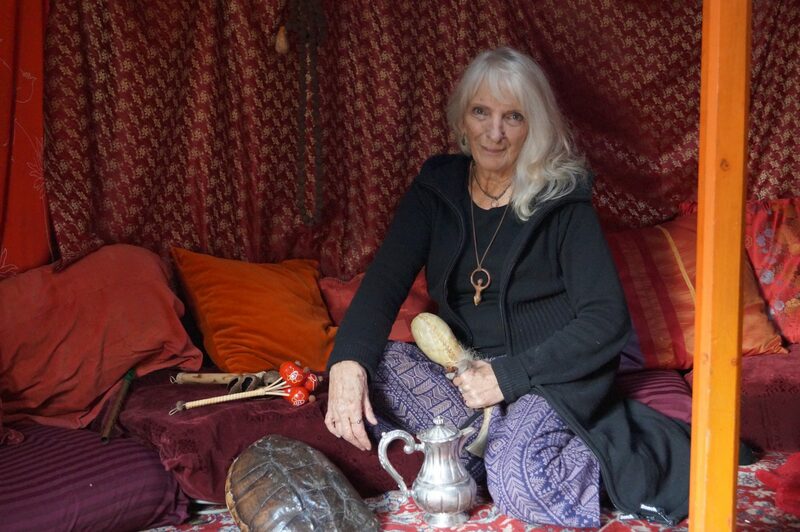 She began her Tantric training in spain in 2011.and was initiated in Mexico in 2014 by a Mayan priestess. 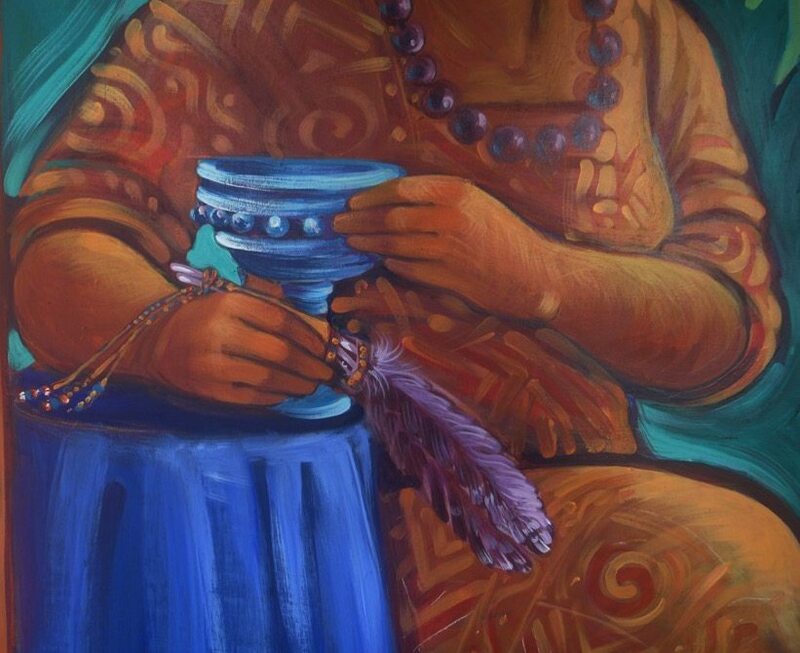 Emmanuelle works closely with the Mayan Goddess Ixchel and with Quetzecoatl the Mayan God. Friday June 22 from 10:30am, until Sun. 24 at 5pm. Elegant Vegetarian or vegan meals catered by Edgar. pleas let us know of any allergies. please send an e-transfer deposit to Maureen at mwm@kos.net by June 13th. 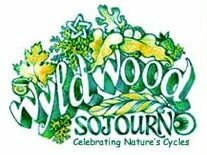 We look forward to your presence at Wyldwood Sojourn this summer. Deep in the warm Darkness of our Cosmic Womb yurt and our tiny Earth Womb yurt. Dive deeply within and receive Her Wisdom. Sourcing in the divine Darkness and attaching to that, is our gift! We can only meet our Mother of Creation in the sacred Darkness. Come open and ready to question our current programming. Lets take back the lost power of our wombs, and our ability to conceive beauty on all levels. Hybernian Mysteries Introduction (first of a four part course) Sat. Sept. 30 at 2pm to Sun.Oct. 1st at 4pm.- cost $160 – your guide is Karen Holmes B.of Ed. Hybernian Mysteries part 2- Sat Nov. 17 at 2pm to Sun. Nov. 18 at 4pm. – your guide is Karen HomesB.of Ed. To register contact Maureen at mwm@kos.net. Please send a $100 deposit via e-transfer, or cheque by mail, 10 days before the retreat begins. Feel free to call Maureen at 1 613 396 3262 for details. 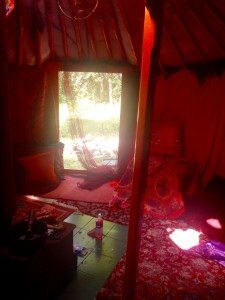 Retreats include catered vegetarian meals by “Edgar” Sleeping is communal, we offer tenting,”yurting”or indoor sleeping. BYO sleeping bag and pillow. 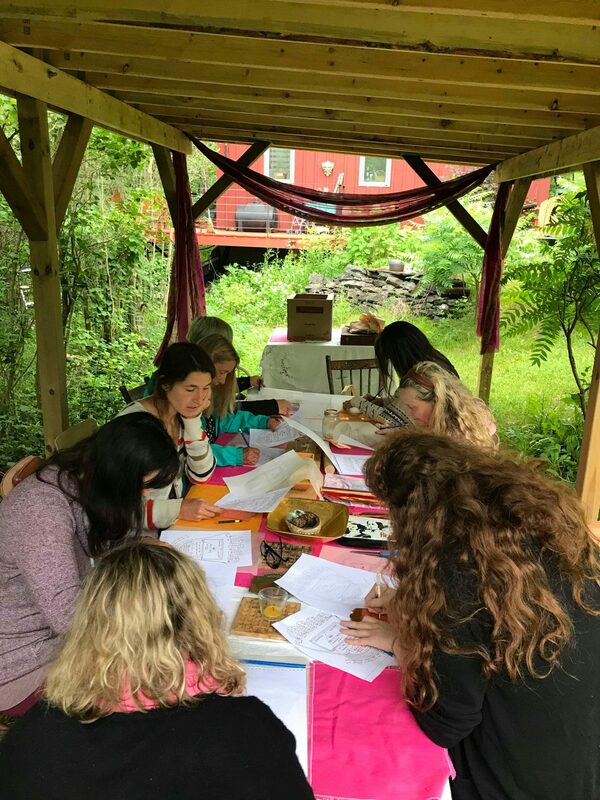 Wyldwood Sojourn is a sanctuary for seekers to deepen their experiences and ensoul themselves once more in the powerful Inner Feminine gifts of manifestation and creation. Maureen Walton offers this space to teachers(men & women) of all disciplines within this area of expertise .The teacher may bring up to 12 students. We celebrate Natures Cycles. Here is a place to give back to the earth, to listen to her messages and to honor the beauty of the Darkness as Divine. 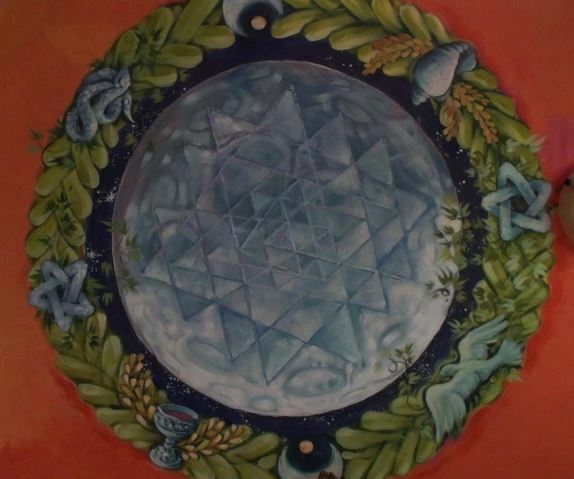 Wyldwood Sojourn is filled with the artist’s murals, sculptures & paintings to create a peaceful, uplifting environment and support your awakening. All contents are hand crafted & of wood, glass, clay,wool or cotton. (no off gassing synthetic materials). 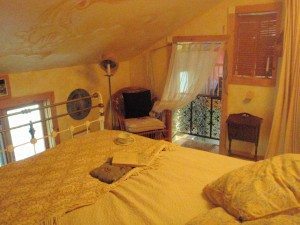 The studio/home is a passive solar dwelling, located on two wooded acres with a seasonal waterfall. 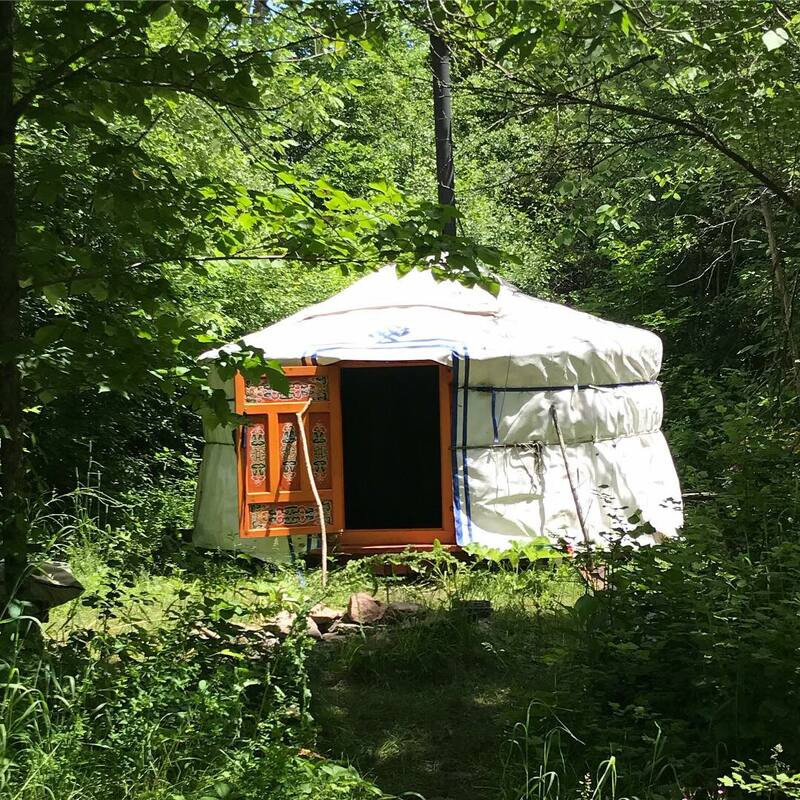 Two authentic Mongolian Yurts nestle in the woods. 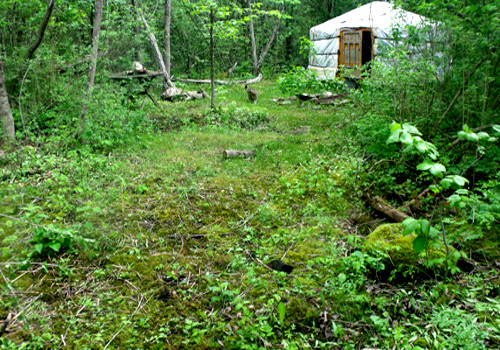 One is used soley as a Dark lodge sanctuary and the other for sleeping and workshop space. W.S. offers, for use to its guests, 2 studios, a kitchen, 2 bathrooms and an outdoor dining tent. W.S. is proud of its new solar run art studio and its tankless hot water system. A solo steam sauna is also a new addition. Aputi is our sweet black feline. A PRIVATE READING AT WYLDWOOD WITH MARGUERITE FROM SEVEN SISTERS MYSTERY SCHOOL! 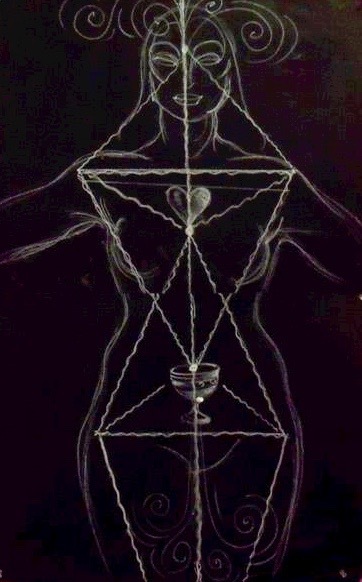 Time to step up and make the changes needed in our lives and learn about our lost feminine spiritual practices. Marguerite is flying all the way from San Fransisco to bring us first hand these timely and life changing feminine truths, long hidden.Take advantage of this opportunity. Join us! 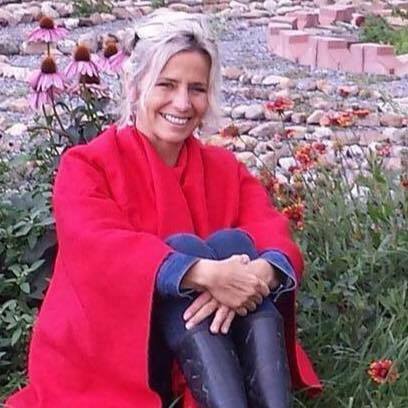 AS A WONDERFUL SURPRISE MARGUERITE COMES TO WYLDWOOD THIS YEAR AS A NEWLY CERTIFIED HOLY WOMB CHAKRA TEACHER! Marguerite and Maureen honour their mutual teacher Cindy Lindsay who’s Womb Wisdom work has continued to influence Wyldwood Sojourn since 2010. Together we will be better able to express this long forgotten Feminine Tradition. 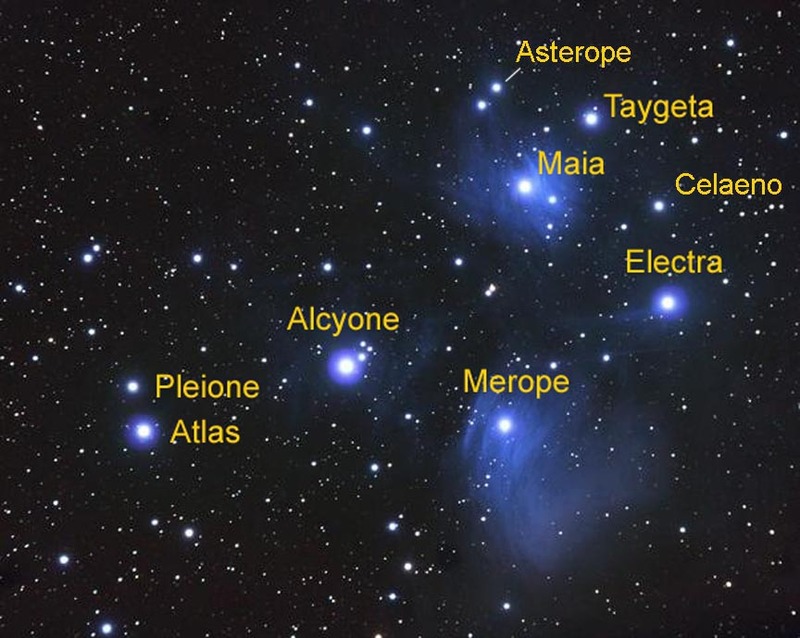 We’ll GET DOWN into the Womb & RISE UP to the Stars like never before as we also hear ancient earth history of the 7 Sisters of the Pleiades as the original 7 Womb Mothers of Humanity. 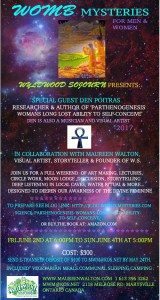 Explore their story of Virgin Birth, Human Creation & Female Spiritual Mysteries, reclaiming memories & knowledge needed for our evolution NOW! Access the female star wisdom of your womb, lie under the night sky and comune with your galactic family accompanied by live cello music. Tap into the energies of this land were Virgin Birth was a living tradition 1000 years ago. A place were a powerful shamanic woman self concieved a great peacemaker, here on Tyendinaga Territory. 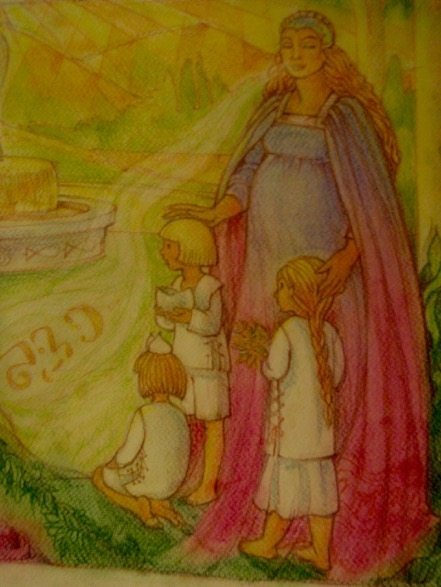 It is not by chance that Marguerite and Maureen teach the womb mysteries in this sacred land of the Huron Peacemakers. Deepen and make sacred your listening and creative abilities, with the Inca meditation joining heart and womb in the Dark Lodge. In the Gossipi River allow your self to release and make space for receiving more wisdom. Learn womb pressure points and more. Make yourself at home. Hidden in two wooded acres is our moon lodge, cosmic lodge and studio home, a safe sanctuary to learn and listen to the voice of our Mother. Maureen at Wyldwood in spring. Beautiful vegan and vegetarian meals served and included. We are looking forward to sharing this essential wisdom of the Feminine traditions, that apply to all cultures and to all ages. In attending such woman’s circles, we move towards reclaiming our selves as the powerful creators we are and taking our world leadership roles once more. As you can see in Den’s expression we have another teacher with a mischievous streak! 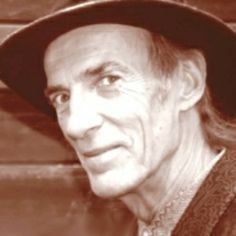 Den’s life seems guided by his passion to uncover the mysteries of the Divine Feminine principal in all. 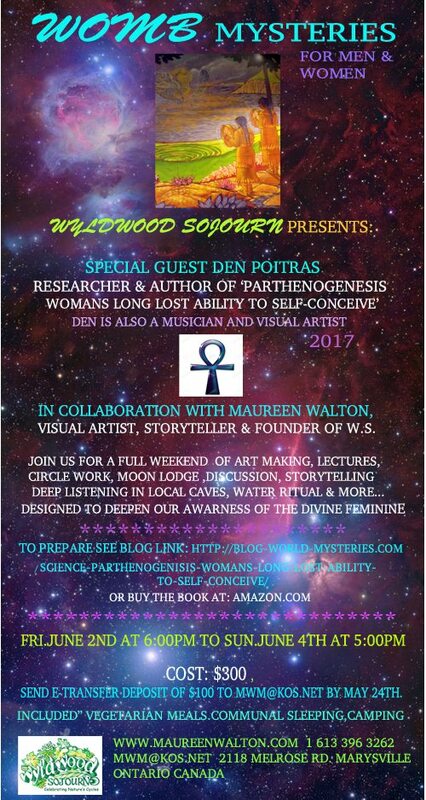 From an early experience with a friend who self conceived, he has devoted his study and art to its exploration.Den has written a book called “Parthenogenesis,Woman’s long lost ability to self conceive”. It is in his art form were you can find his whimsical streak, by his use of found objects and garbage, which he transforms from the mundane to the profound. His subject is always referencing back to the mysteries of hidden feminine gifts of creation and of her Soulful nature. 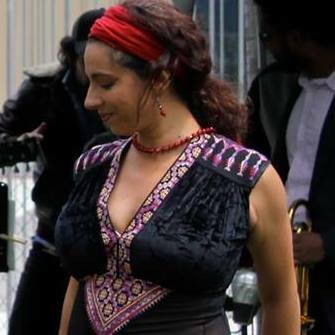 Den is also a musician who plays guitar and flute and has a “Jug band” group that plays local spots on the eastern seaboard of New York State. Den believes that the world would be a better place with women leading. Den is also a friend and colleague of Marguerite Rigoglioso and it was she who introduced him to Maureen Walton. I look forward to my collaboration with Den in his first upcoming retreat here at Wyldwood. 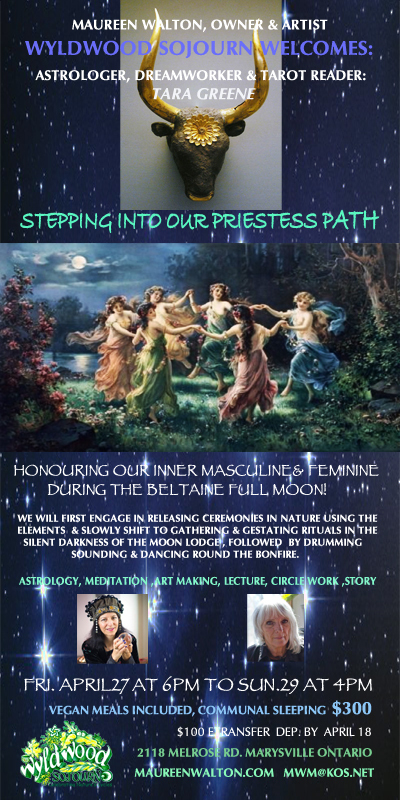 Be ready to engage in art making in the woods, ceremony in local caves, lots of discussion and information that will make an impact on your current accepted understandings of many things concerning woman’s power. this retreat is in June 2,3,4, 2017 see details in schedule. Friday June 9th at 10am to Sunday June 11 at 4pm. It seems fitting to introduce myself for those who may not be familiar with my Plant Spirit Healing Practice or Workshop offerings. 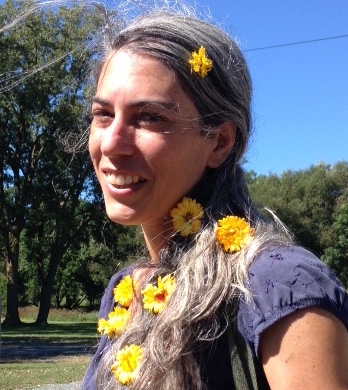 This photo was taken at Wysdom Tree’s 2016 Plant Spirit Communication Workshop (held at Soulful by Design) and I was definitely feeling gratitude to be sharing the gifts of our Green Allies who have enriched my life in so many ways. They have helped me to heal, balance, and reclaim the hidden wounded spaces in my Spirit and have brought me into deeper relationship with this beautiful Earth Mother we are blessed to call home in this life. 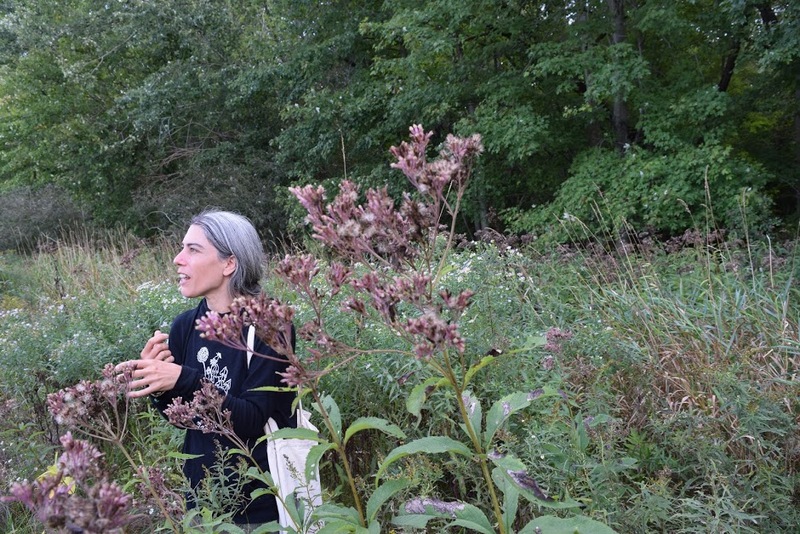 Maureen is pleased to host Danielle for a full weekend of study and experiential practice with the plants. Wyldwood is teeming with native species that have been left undisturbed for many years.A rare opportunity. Maureen at Wyldwood beside a patch of wild ginger. An outline will be provided on request. Deposits of $100 accepted by Danielle by May 30.
balance of $250 accepted on arrival. Wyldwood Sojourn is an intimate hideaway on two wooded acres. Maureen designed this home to be a comfortable working space, finished with natural materials and supporting a simple life-style. It is built as a solar dwelling & boasts of a mini solar station that meets the energy needs of her art studio and well. W.S. also has hot water on demand and a solo steamer. 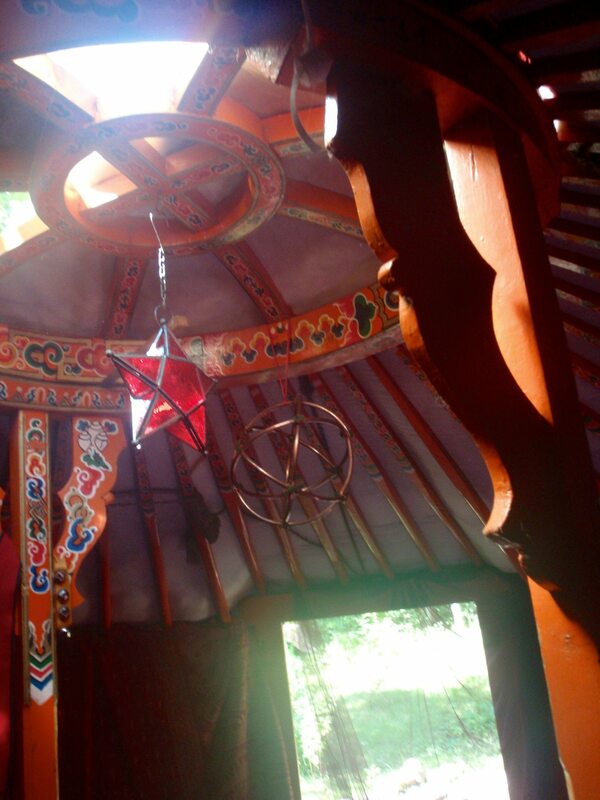 Sleeping is communal in the yurt or studio. Tenting in summer is an option. Please bring your own sleeping bag and pillow. We offer cots & mats. A spare room with double bed is especially for the teacher.We accommodate 15 guests in summer and 10 in winter. Camping is also an option. Because it has its own well and septic system care must be taken to use water wisely by flushing the toilets only when necessary and by spacing quick showers 3 hours apart. 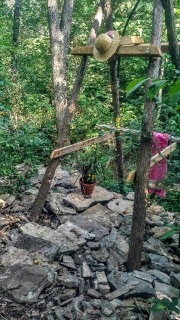 An outdoor rainwater shower is under construction. (spring 2017)Please feel welcome and at home! We are open to support your Soulful connection to Nature.